Ladies of a certain age are known to come down with a condition known as baby fever. I'm not sure when it really starts or ends, but I can tell you, despite having two toddlers I am not immune. One whiff of a newborn's head and I am looking at my husband with pleading eyes. And without so much as a word escaping my lips, he barks "No!" We can't help it. Babies are just irresistible. 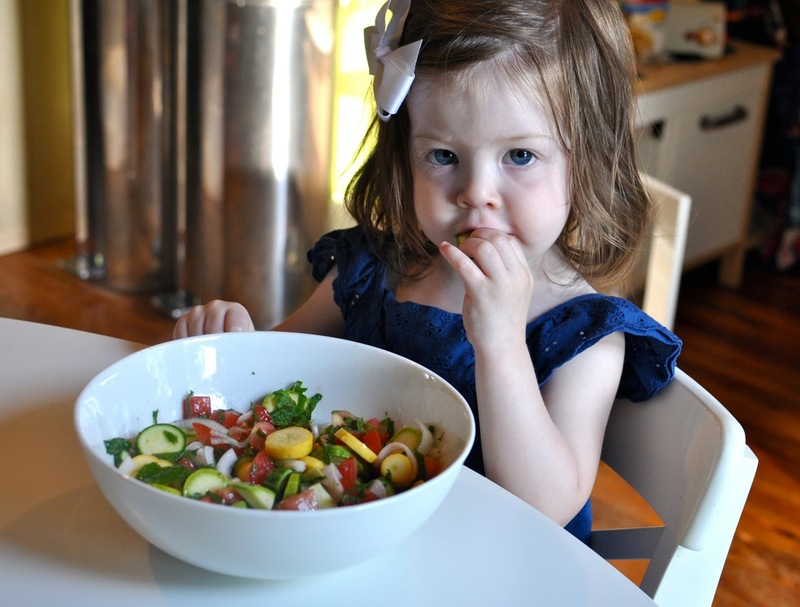 In the food word, baby veggies can be quite alluring too. 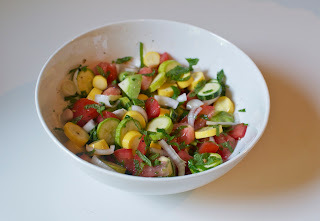 When some tiny squash and zucchini showed up in my CSA recently, I made this adorable little raw salad. 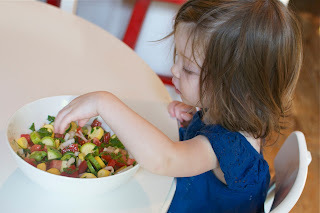 Chop the baby squash and zucchini and place in a mixing bowl. Dice the onions and tomato, and add it to the bowl. Add the oil and juices. Toss the mixture. Chop the mint finely and add to the bowl. Salt and pepper to taste. Serve at room temperature. It was so good even my baby couldn't keep her hands out of it. Isn't that adorable? I could just eat them both up!